Bbulletin, an IT-enabled Bulletin Board and Freemium Community Platform that integrates various Communities like schools, churches, businesses, NGOs, homeowners and condominium associations & barangays, supports the 1st Digital Career Bootcamp by sponsoring ten delegates to the event. The platform boasts of its Single Sign-up-Join Multiple Communities feature. In simple terms, Bbulletin is Community Management System which includes updates, promos, events, programs, officials and related information specific to a community, association or any group or organization seeking for a free tool to manage its services to its members. As a "freemium" platform, the use of this app and its basic sign-up features is free-of-charge until the community opts for proprietary features, functionality, or virtual goods. As a pioneer community online tool in the country, Bbulletin is supporting the 1st Digital Career Bootcamp, a one-day event which aims to provide participants with awareness and up-to-date information on starting an online career through lectures and actionable steps intended for aspiring and experienced work-from-home professionals. 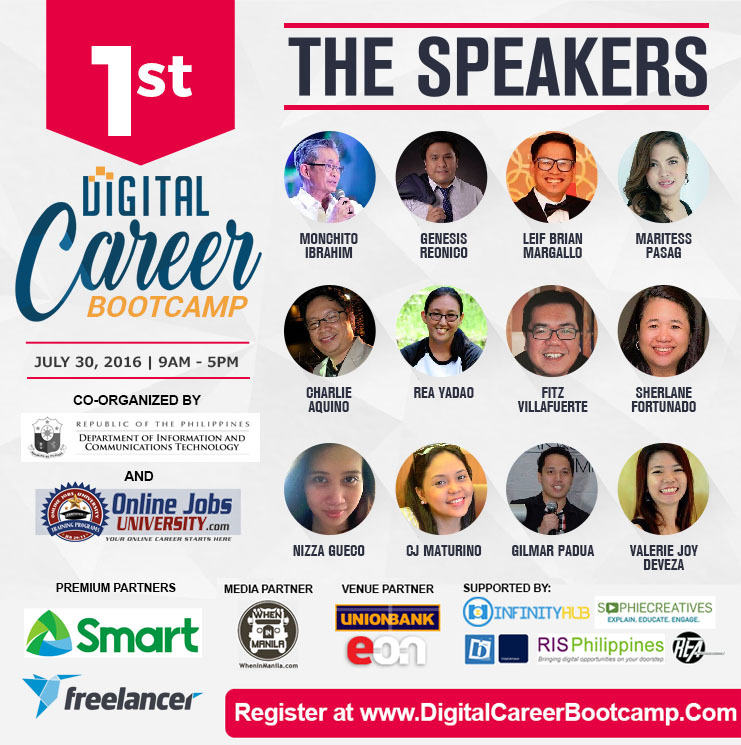 The 1st Digital Career Bootcamp will be held on July 30, 2016 at the 48th Floor, UnionBank Plaza, Meralco Avenue corner Onyx Road, Ortigas Center, Pasig City. This event is the brainchild of Genesis Reonico, a Digital Career Coach and founder of OnlineJobsUniversity.com who has been to different parts of the Philippines since 2014 conducting training workshops, delivering talks, and championing the belief that having an Online Job is a good alternative career choice for everyone, anywhere in the country. Together as the co-organizer of the event is the newly formed Department of ICT (former DOST-ICT Office) headed by Deputy Executive Director Monchito Ibrahim. The DICT firmly believes that online work can help many Filipinos especially those in the rural areas where there are limited number of opportunities available. For more info on Bbulletin, visit http://bbulletin.info. 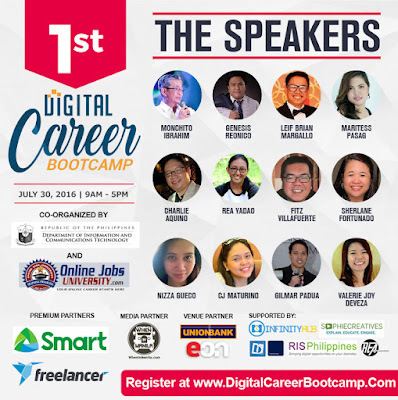 To register for the 1st Digital Career Bootcamp, click on digitalcareerbootcamp.com.